Kofi Annan, the first black African to lead the United Nations, has died at age 80. He served as Secretary-General at a time when worries about the Cold War were replaced by threats of global terrorism, and his efforts to combat those threats and secure a more peaceful world brought him the Nobel Peace Prize. 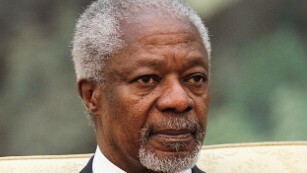 Despite his many achievements, Annan’s record was not unblemished. He was head of the United Nations’ peacekeeping operations in 1994, when some 800,000 people were killed in the Rwanda genocide, and in 1995 when thousands of Muslim men and boys were massacred in Srebrenica. 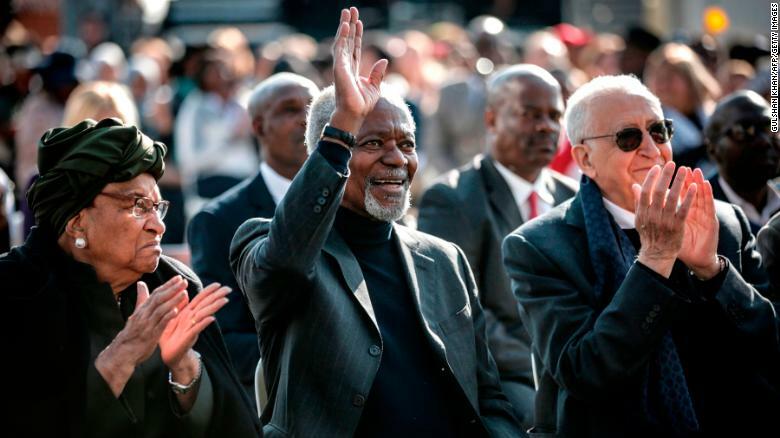 Liberian politician Ellen Johnson Sirleaf, left, Kofi Annan and former Algerian UN politician Lakhdar Brahimi, right, attend an Elders event in South Africa on July 18.